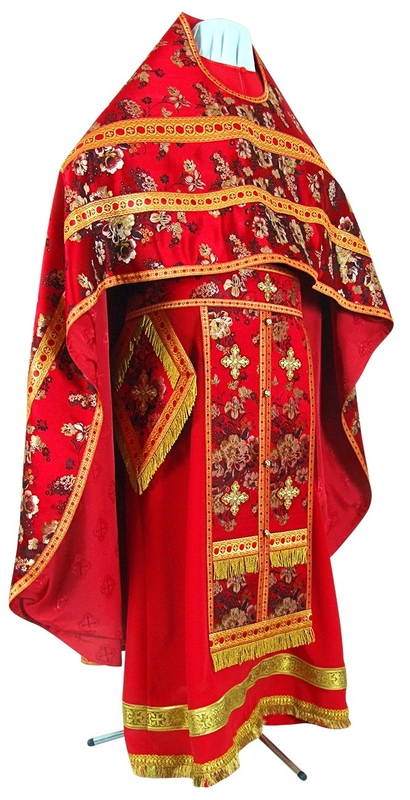 Orthodox liturgical Russian Priest vestments (red-gold) by Istok Church Supplies Corp. 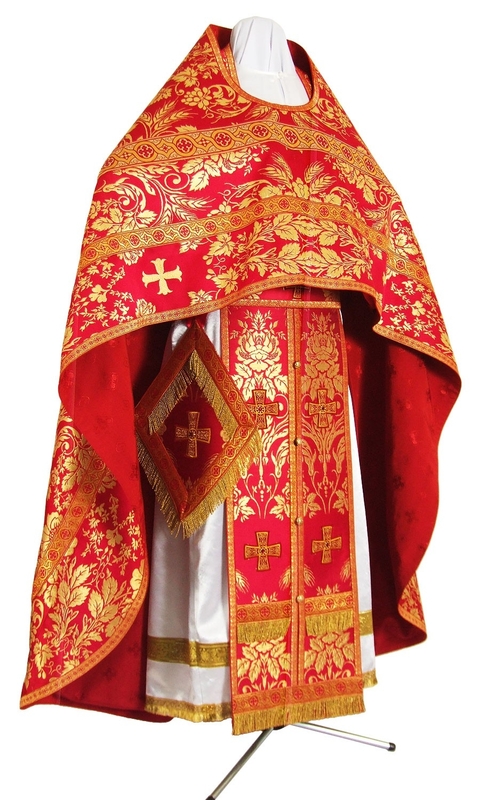 It is customary for Orthodox Christian Russian Priests to don distinctive official vestments while carrying out various liturgical services. 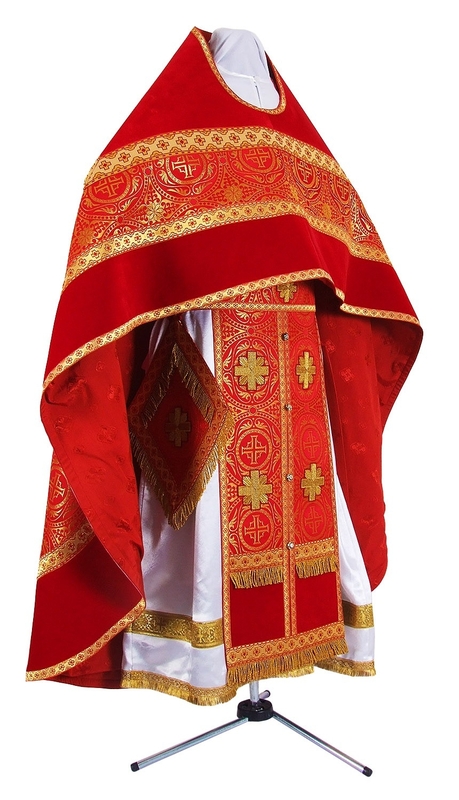 Istok Church Supplies is proud to play a small part in continuing the tradition by supplying high quality Russian Priest vestments red-gold that would enhance the reputation and stature of any Russian Orthodox Christian church. 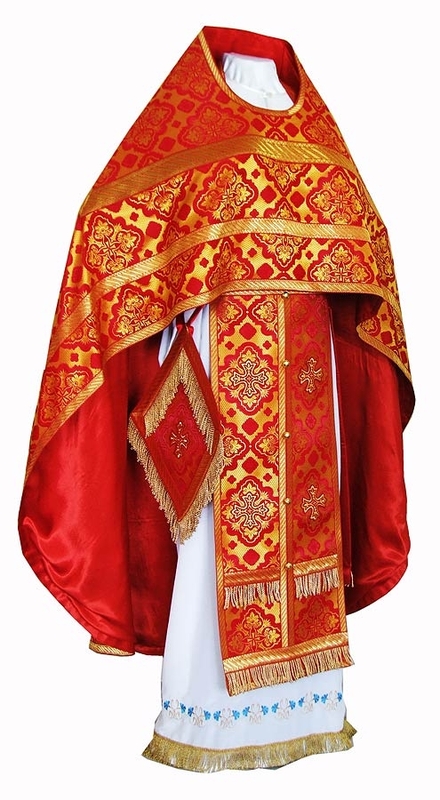 Our comprehensive collection of Russian Priest vestments red-gold are must have garments for a wide variety of sacred events such as feasts and days honoring Martyrs. 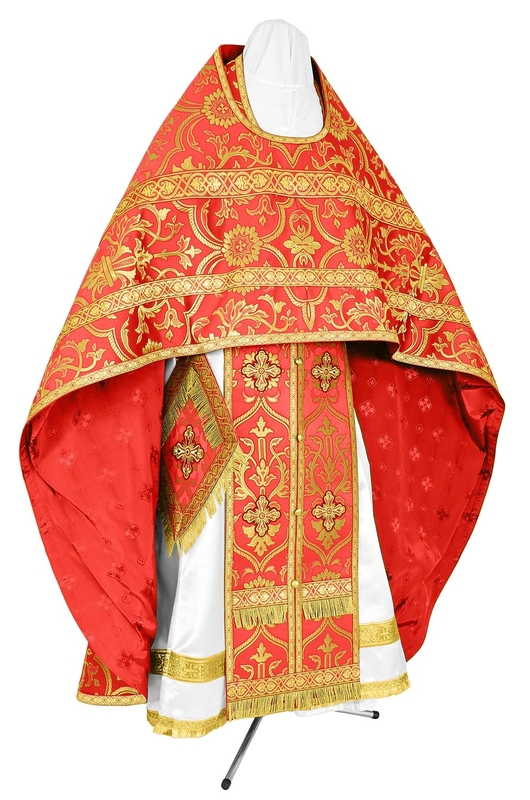 We supply these grand vestments in a wide variety of quality ecclesiastical fabrics including rayon brocade, metallic brocade, Chinese rayon brocade and natural German velvet so customers can choose according to their requirements and budgets. 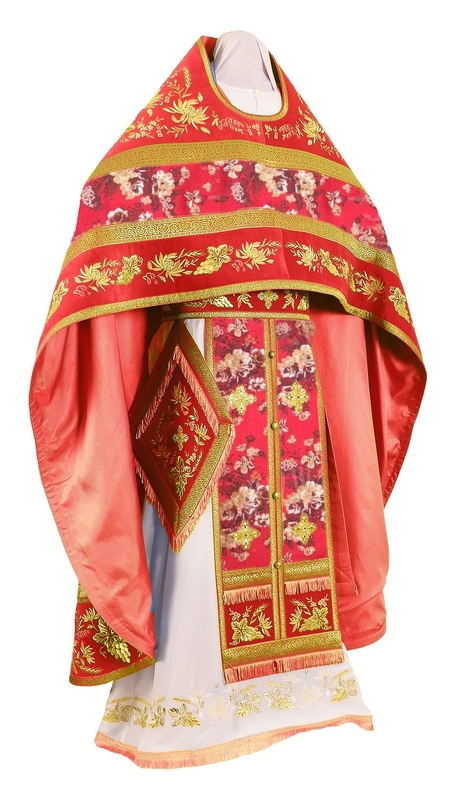 Our Russian Priest vestments are offered as complete sets and include six articles – phelonion, zone, epigonation, epimanika, epitralhilion and nabedrennik. 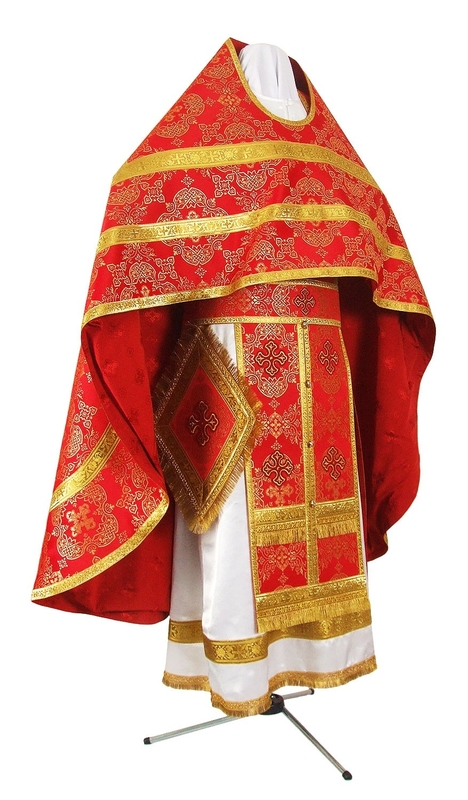 We provide plenty of flexibility for our Russian Priest vestments red-gold. Customers can choose from a wide range of fabric classes and add matching chalice covers, podriznik, velvet inserts and a beautifully embroidered icon to their custom orders. 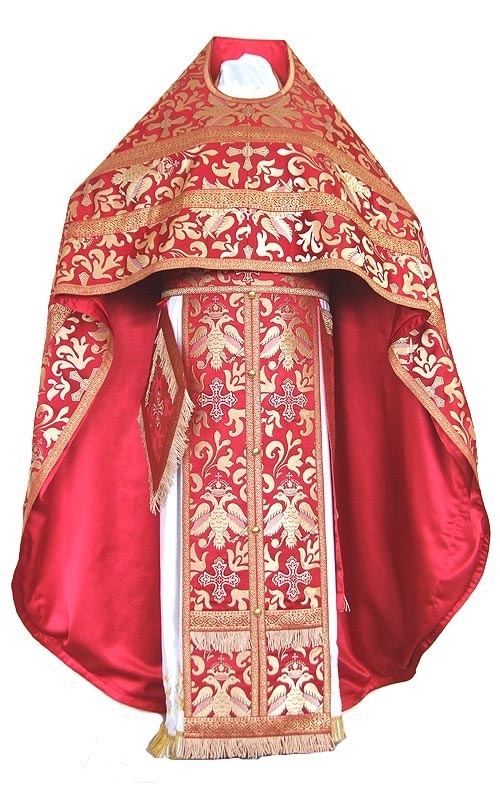 Customers can select from three types of adornments for Russian Priest vestments – standard, premier and luxury. For standard adornment, we provide economic galloon and simple crosses. For premier style, we provide high quality galloon and embroidered crosses. For luxury style, we include solid jacquard galloon and richly embroidered crosses. 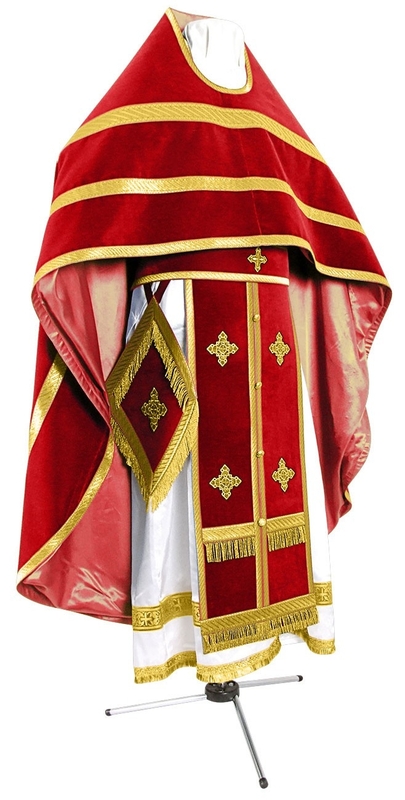 Istok Church Supplies is reputed around the world for custom liturgical vestments. 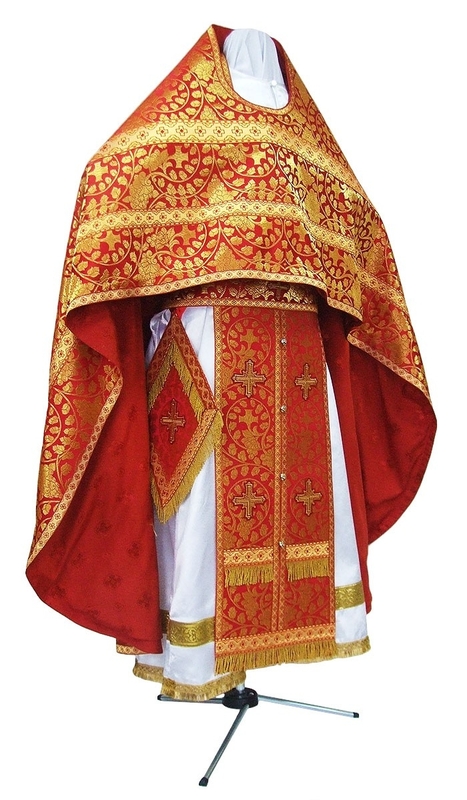 Our experienced master tailors in Europe painstakingly create custom Russian Priest vestments that conform to Orthodox Christian traditions and canons. No stone is left unturned to ensure high quality workmanship and attention to detail. We request customers to provide their precise individual measurements according to our online measurement chart so our tailors create vestments that fit perfectly. 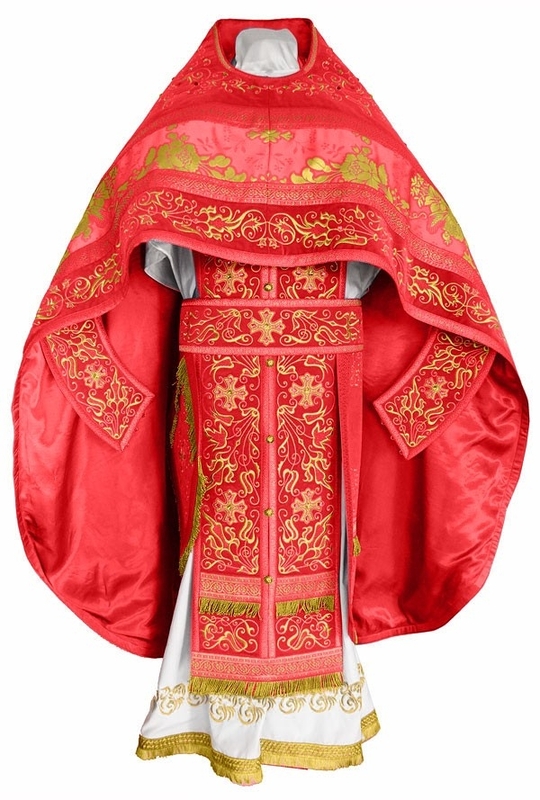 Since each vestment is handcrafted, we encourage early order placement (a few weeks in advance) so customers can receive their orders well in time for special events. We hope you enjoy browsing through our collection as much as we enjoy creating it!